HomeMEDIATLBTV – Rebecca Sounds Reveille – Wake Up: You Need To Fact Check! TLBTV – Rebecca Sounds Reveille – Wake Up: You Need To Fact Check! Is our country what we see on t.v., newspapers, internet, or radio. Those who were born in the generation x era (or earlier) spent much of there lives looking at television newscasts and newspaper articles to stay abreast of what was happening in their community, country, and world. They took what they saw and heard as fact. It was a trust with those who were reporting that they had researched and investigated the information being reported. Over time little by little, it was revealed that some of the information we were receiving was misleading or an outright lie. The age we live in now is one of fake news vs. truth and the deciphering of of it. We are seeing a rise in those who are investing their own time having to fact check what is being stated in mainstream media. Many are turning to independent or alternative media because they don’t have the time to fact check it all and seeking the like-minded who are doing the homework to get to the truth and getting out there, but is that enough? Special Guest Luca Majno, who is the Audio/Video Technical Director for The Liberty Beacon, was born in Boston Massachusetts and raised in Geneva Switzerland, in the French language. For about the past 25-30 years he lived in Canada where his activism started. In 1995, after seeing “Geronimo’s” face on a portrait, he really started to question everything. As an internationally recognized speaker, having conducted conferences in high schools, colleges and universities in Canada, and through his radio/video programs, along with his mini-documentaries published on his Youtube channel, he has spoken on the following topics: Canadian and United States History (genocide/ethnic cleansing), The Concept of Race/Racism, The Role of Women, Bullying and Intimidation, Getting Back to Nature, The Pharmaceutical Industry vs. Natural Health, Chemtrails/Geo-engineering/De-Population Agenda, and The Pipeline Controversy. Majno speaks candidly on this episode with a lot of passion and research where he provides the audience with photos and two videos citing the statements he makes. He challenges the audience, not just to believe the statements he makes, rather to research his statements and decide for yourself what the truth is. His strong opinion of what is happening in this country can sting ears initially, but if you watch and listen, the message and facts he provides lays the ground work for questioning what many thought was the real truth. He wants the audience to know where to gain an understanding on major events from the first World War to 9/11- what really happened and “who”, along with “why” the events were orchestrated. What many have thought to be conspiracies are turning out to be facts, although there is a lot of conspiracy theories out there. It is our responsibility to fact check the things we see and hear not only through traditional media sources, but internet sources feeding social media. Have you ever played the game “telephone”? The group game goes like this: The first person of this group is told some sentence or story. That person is suppose to whisper those exact words in the ear of the person next to them, then that person whithers it in the ear of the next person, and so on until it is whispered in the ear of the last person in the group. The last person then repeats the words they were told aloud to the group. The result is sometimes so far off from what was originally stated that the group gets quite a chuckle. The lesson here is not everything is we hear is true. So fact check it. If you don’t have the time to, utilize resources that hold a high standard to their writers, editors, radio and t.v. show hosts, such as The Liberty Beacon. The Founder of The Liberty Beacon Project holds this standard for himself, to this media project, and those who contribute to it. 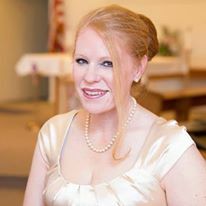 About Rebecca Mahan: Rebecca is The Liberty Beacon Project Media Director, a United Stated Marine Corps veteran and a retired police officer of over 10 years. Rebecca is a published author and had been a long running columnist for a community college newspaper. 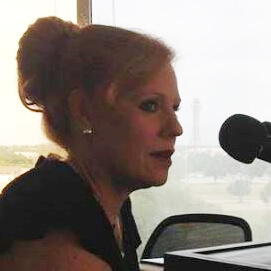 She has also been an award winning radio show host and has produced, booked, and interviewed guests for her shows. Her education includes: Associates degrees in Christian Studies, General Education, General Business Management, and Law Enforcement. Rebecca also has a Bachelor’s degrees in Church Ministry and Occupational Studies -Vocational Arts, as well as a Master’s degree in Biblical Studies. She is a certified Mediator and Event Planner.